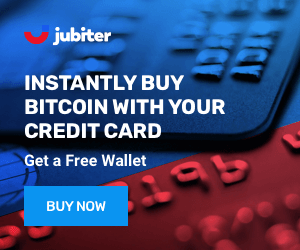 Merchant Services: How to Accept Bitcoins as Payment? Accepting payment in Bitcoin has a wide range of benefits for both online retailers and traditional businesses. The 'decentralized' nature of Bitcoin means that anyone can start accepting payments, without needing to have an account with a third-party provider. With Bitcoin being touted as a way to conduct anonymous transactions and as a way to compete with government currency, many small business owners wonder what the right way to accept and manage Bitcoin is, or if it's legal or ethical, or if and how they should pay taxes on cryptocurrency income. Bitcoin has been formally recognized by some governments and authorities as a "currency", but in practice, accepting Bitcoin is no different than accepting payment in other forms such as cash, gold, scrip, gift cards, or foreign currency. Fortunately, you don’t need to know much about Bitcoin to accept it as a form of payment. In fact, some services such as Coinbase can automatically take your Bitcoins for you and turn them into hard currency. From a practical standpoint, using a service like Coinbase makes accepting Bitcoin as easy as regular payment forms. Accepting Bitcoin at your small business is best handled in whichever manner keeps the accounting simple for you. This will vary by the type of business you are operating. Here are some basics about accepting Bitcoin as a form of payment for your business. Open a Bitcoin wallet: There are numerous ways to do so, which are covered elsewhere on the site. One example would be opening a Coinbase account as described above. Put up a sign: Start by posting a sign or a note that reads: "We Accept Bitcoin", and ask people to contact you directly in order to make a payment. You can then provide your wallet address. This is important in two ways: one, it increases awareness, and two, by it makes your customers more willing to accept Bitcoin as payment from others in the future, because now they know somewhere they can spend it. Determine How You’ll Accept Payment: If you sell things in a physical shop, customers can pay using PCs or most mobile devices using touchscreen apps, or by transferring wallet addresses through QR Codes. For online stores, we recommend that Bitcoin payments are implemented by a specialist. You should run a full node for verification, especially if you sell expensive items. Use Your Smartphone or Tablet: You can use a dedicated app or web app that generates a QR code. Many wallets directly support QR code scanning for payment. Set Prices: When a business accepts Bitcoins for payment, they will generally need to convert them to fiat currency. Some merchants set prices based on the current market rate at the time the price quote is presented to the customer. When prices are determined using an automated process, the current market rate can be based on either a current price or on a weighted average basis. Some merchants instantly exchange those proceeds into the preferred currency used. Hedging for each transaction can nearly entirely eliminate exchange rate risk that the business is exposed to when accepting Bitcoins for payment. BitPay is an international payment processor for businesses and charities. As with other payment processors, it has plugins for a large range of e-commerce systems, including WooCommerce and Magento, as well as SaaS-hosted shopping carts like Shopify. Furthermore, BitPay works with Amazon's Fulfilment service, which allows merchants to sell and ship items via the e-commerce giant. BitPay offers various tariffs that merchants can subscribe to – from a 1% fee for a 'starter' service up to $3000 monthly for the 'enterprise' solution with a dedicated account manager – enabling features such as deployment on custom domains, VPN access, exporting transactions to QuickBooks, and so on. 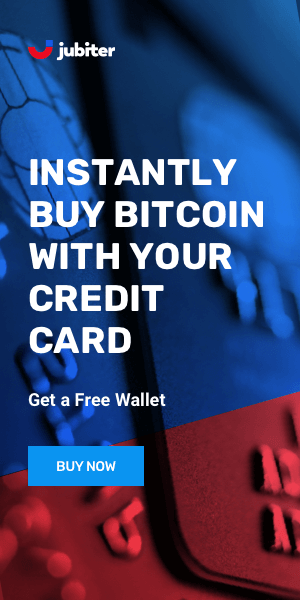 BIPS (Short for the Bitcoin Internet Payment System) is a payment processor that allows merchants from all over the world to buy and sell bitcoin, as well as accept payments in the digital currency. There are actually no fees at all for standard payments processing. BIPS gives you the ability to store and archive invoices and supplies plugins to interface with BigCommerce, WooCommerce, Shopify, and others. There is also API access for those coding their own solutions. BIPS offers an easy way to provide a mobile-friendly checkout for your website too. For merchants with physical retail stores, BIPS offers a point of sale app. Blockchain Merchant is an application for retail merchants as a simple POS system to accept Bitcoin payments. This is only available for Android devices. How Are Bitcoin Transactions Processed?